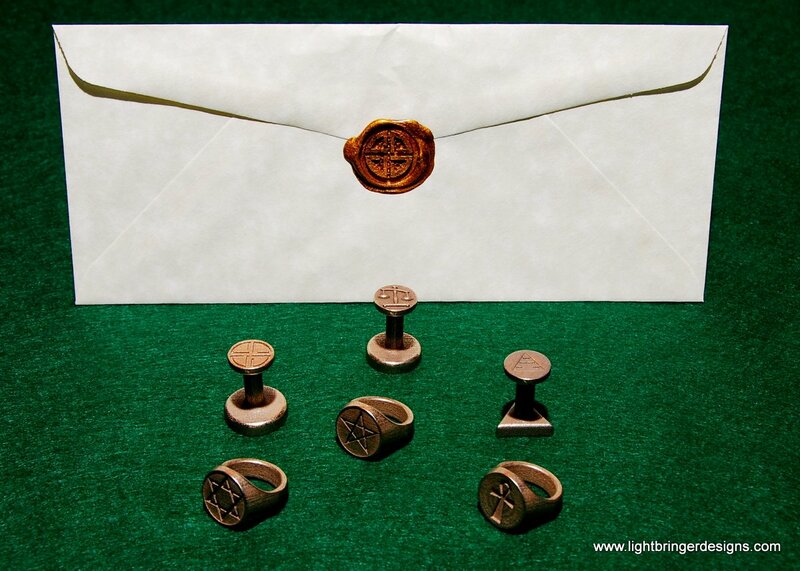 In this photo: Shield Knot wax seal (also in the impression on the envelope), Scales of Justice (or Libra) seal, Sierpinski’s Gasket seal, Star of David signet ring, Pentagram signet ring, and Ankh signet ring. 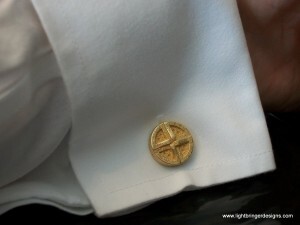 All products are available through our Shapeways Store. Check below the cut for photos of more new products. 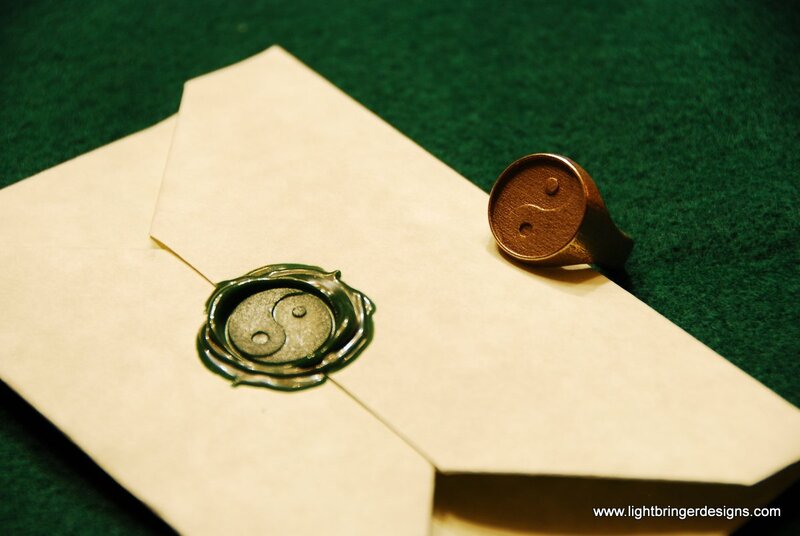 We also have a photo of the Yinyang signet ring here. Not shown is the Valknut wax seal – somebody bought that one off me before studio time! 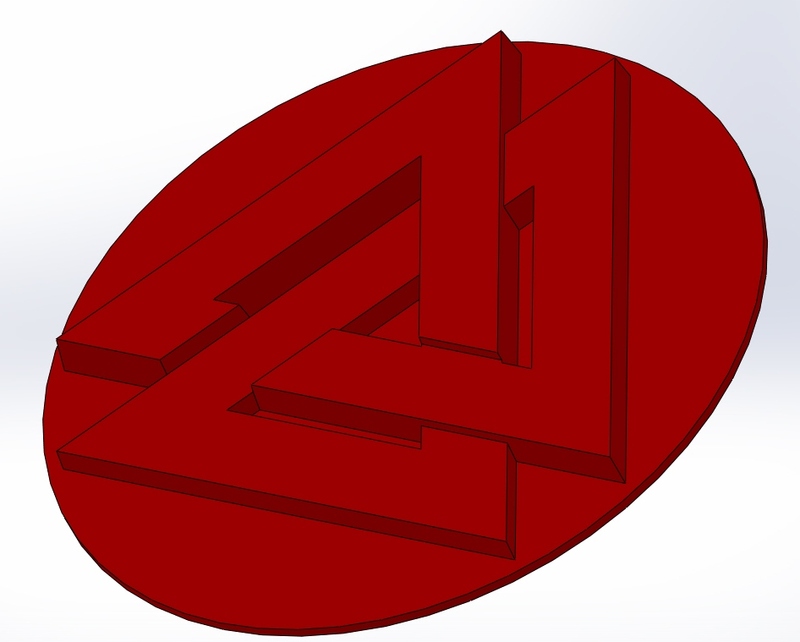 This entry was posted in New Products and tagged Ankh, New Products, Pentagram, Scales of Justice, Seals, Shapeways, Shield Knot, Star of David by lightbringer. Bookmark the permalink.